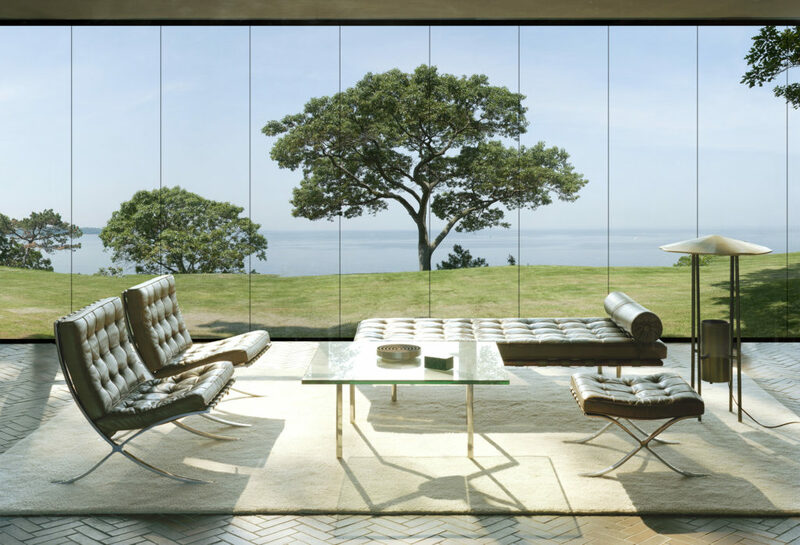 If there’s one thing floor-to-ceiling windows excel at, it’s framing a beautiful view and bringing the outdoors in. 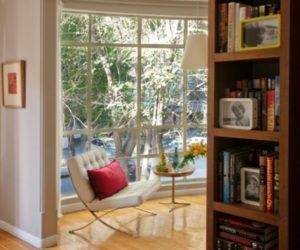 Architects from all over the world are making the most of the wonderful locations they work with by including full-height windows in their designs. 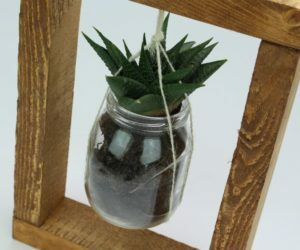 They get to connect houses to their surroundings and to immerse them into nature in the most beautiful and inspiring ways. 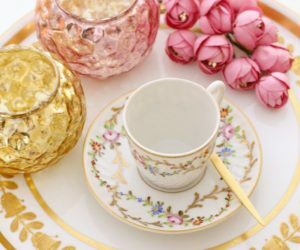 Get ready to be inspired. 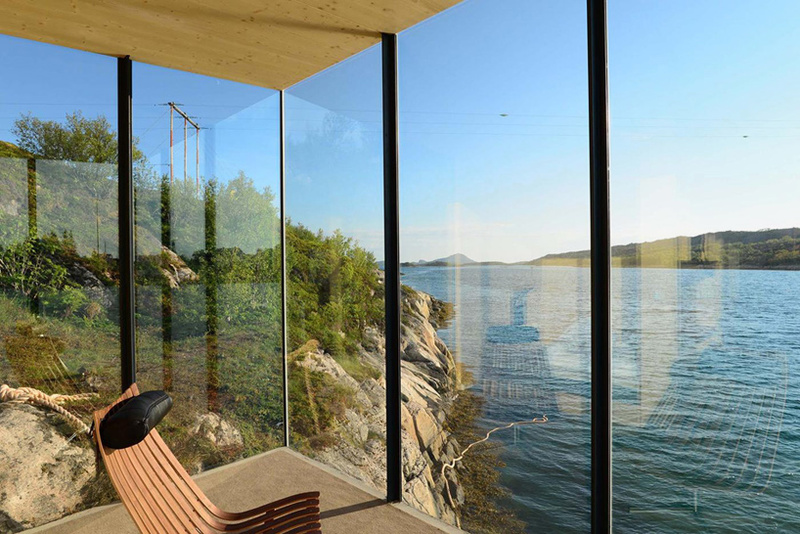 This is view from one of the cantilevered cabins that architect Snorre Stinessen built for an island resort in Norway. Several such structures were built on the shore, with areas that extend outwards over the water. 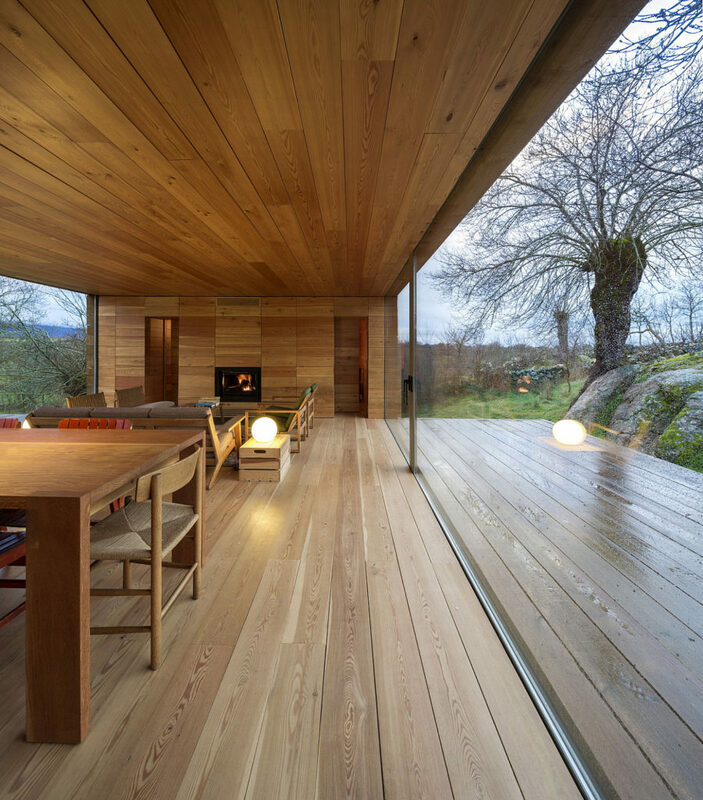 Also located in Norway, this summer house designed by Marianne Borge and Kjetil Saeterdal manages to somehow make its inhabitants feel like they’re outdoors when they’re actually inside. 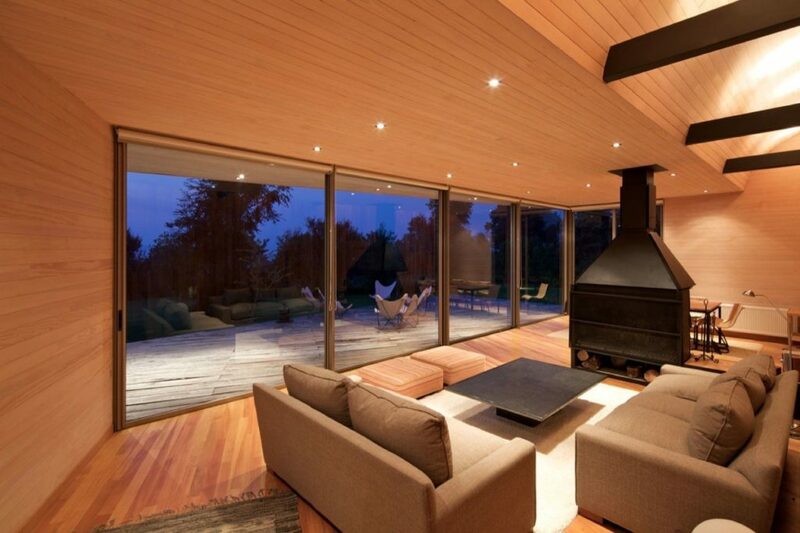 It’s all about the openness of the spaces and the fact that the house has huge panorama windows. 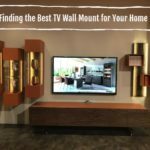 Sometimes the hardest part about building a house is finding the right spot for it. 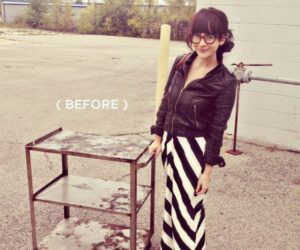 It can take years to find the ideal location but when you do everything falls into place. 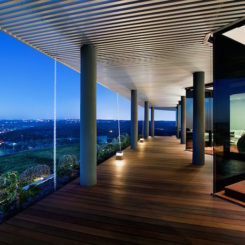 For this residence designed by Hassell, it was the site and views that shaped the building. 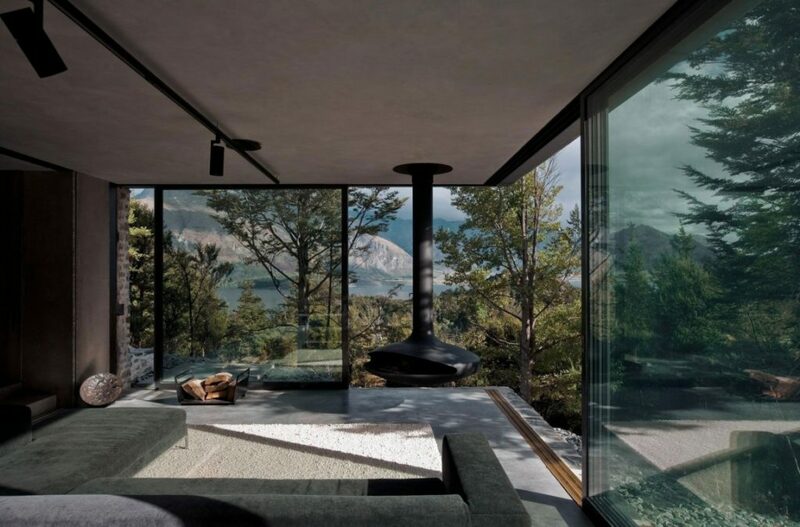 What better way to enjoy a spot in the mountains with views over the tree tops than from inside a cozy home that has a floor-to-ceiling window positioned just right…This seems to also be the idea that Fearon Hay Architects had when they designed this retreat in Queenstown, New Zealand. 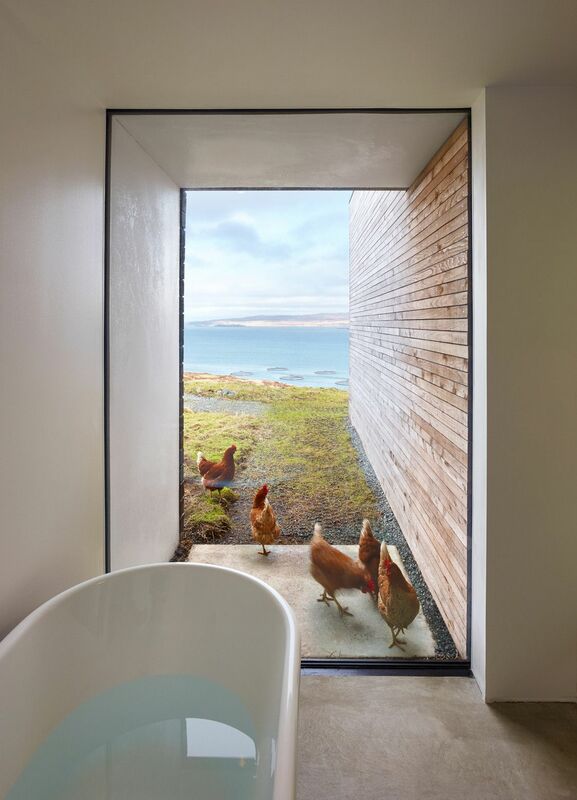 Dualchas Architects definitely made the most of the views when they designed this house in the UK. 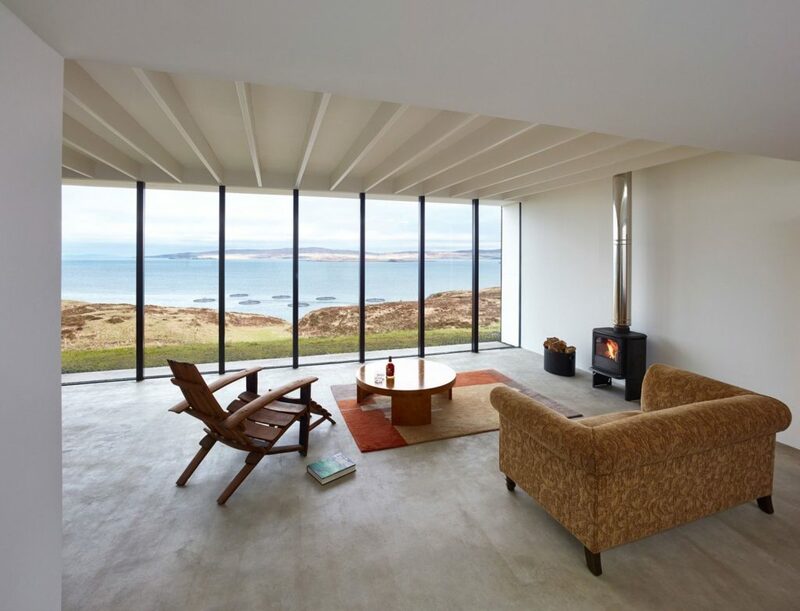 It stands on a site that overlooks Loch Dunvegan and it has floor-to-ceiling windows in every room, including the bathroom. Every window captures a different part of the view and together they frame the whole panorama beautifully. The view is definitely important but so is having a comfortable place from where to enjoy it. 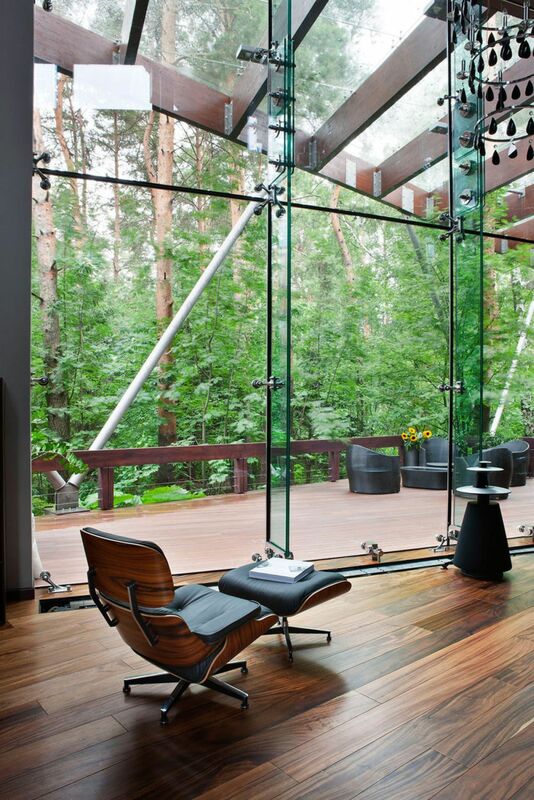 Architect Olga Freiman designed this beautiful retreat in Moscow, Russia and made sure to have a cozy lounge area facing the panorama framed by the full-height glass wall. 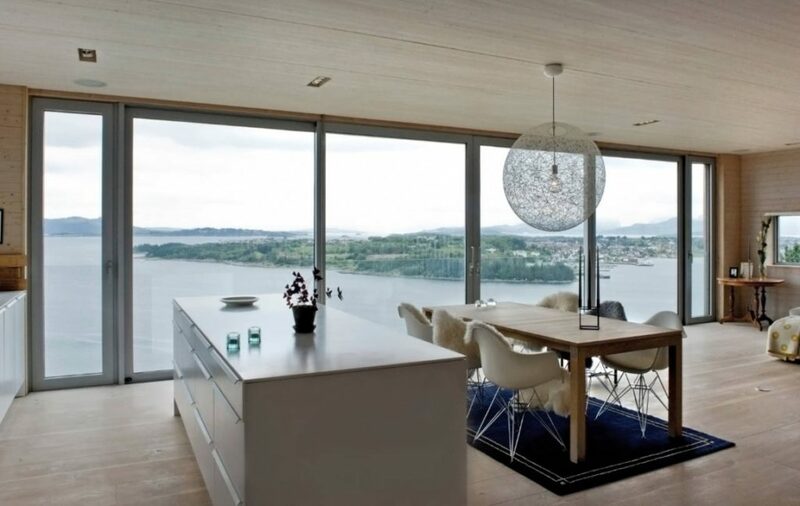 High ceilings are quite dramatic, allowing for all sorts of eye-catching interior design strategies to be used. 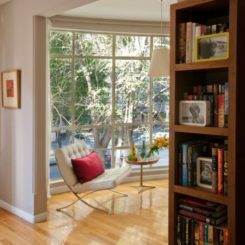 At the same time, a high ceiling also means that there’s a possibility to have tall windows that go all the way up, like this residence that architect David Jameson designed in Maryland, United States. 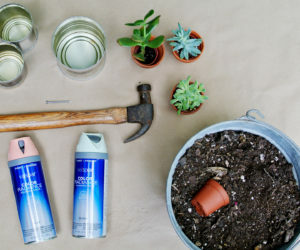 A lot of projects are inspired by their surroundings. 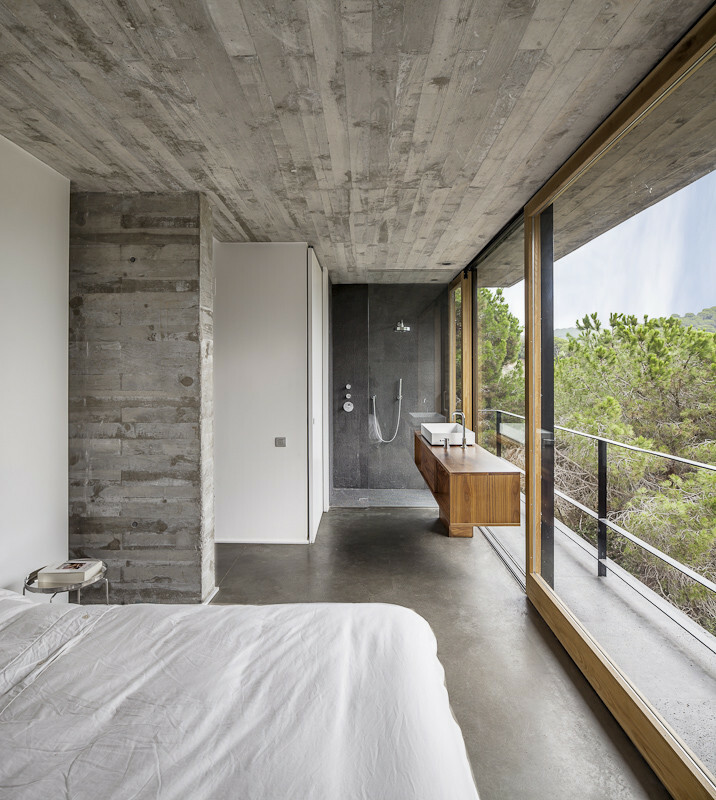 One of them is the B House designed by ch+qs arquitectos. Its designed, inside and out, reflects the landscape around it with a focus on the yellow in the fields. 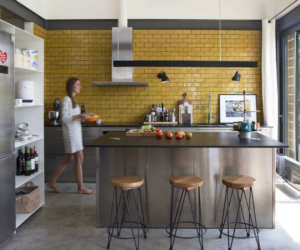 The yellow undertone is integrated throughout the house and it also becomes a part of the decor thanks to the huge panorama windows. 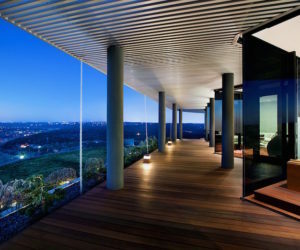 With stunning full-height glass walls that define an entire facade and even wrap around the corners, this residence gets to offer unobstructed views of the gorgeous landscape that surrounds it. 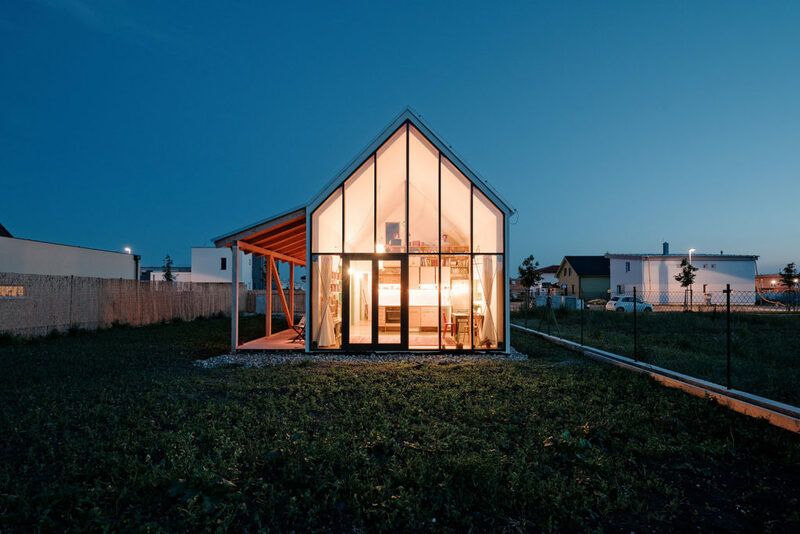 It’s a house designed by REX and it’s meant to serve as a shared home for three generations. 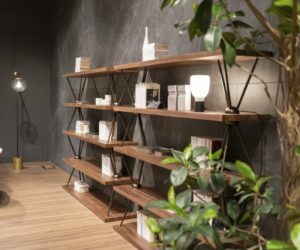 The monochromatic palette of concrete, brick and neutral color tones is intentionally kept simple. 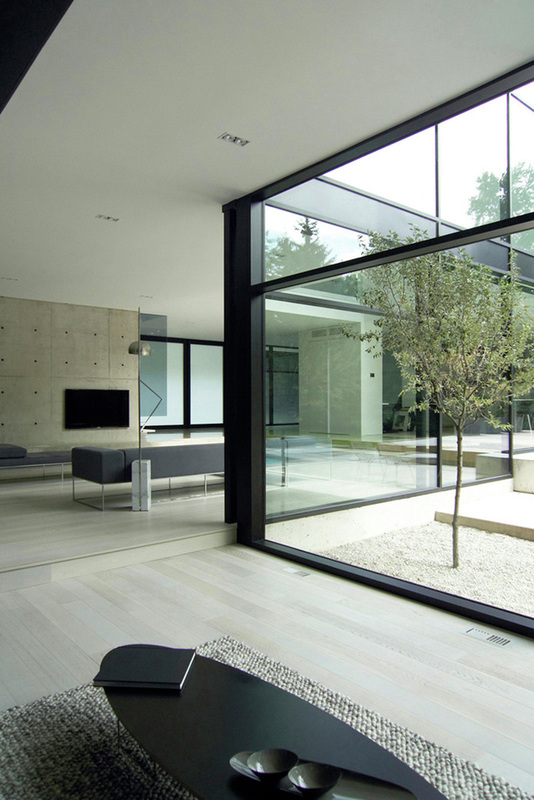 Architect Guido Costantino wanted this two-storey modern residence in Ontario to be complemented by the views of its surroundings which become an important part of the interior designs thanks to the glazed walls. 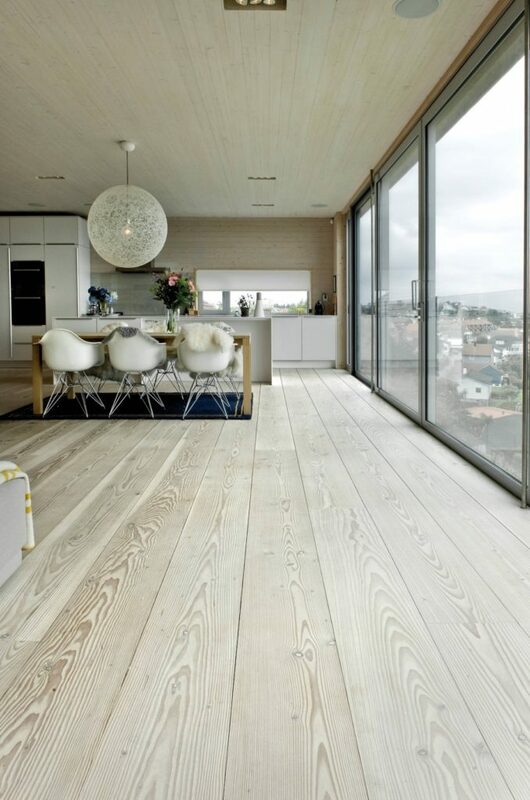 A beach house isn’t really complete without floor-to-ceiling windows or some other design strategy meant to connect it to the views. 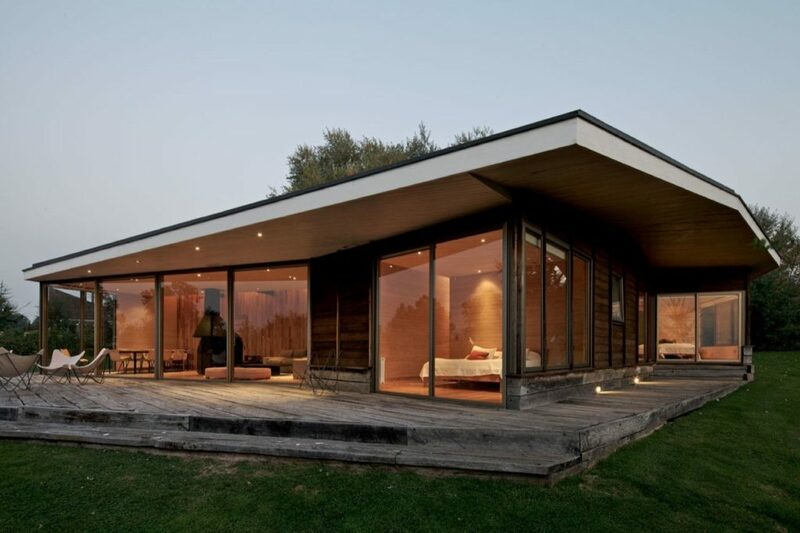 This house designed by Martin Gomez Arquitectos is a very good reflection of this idea. It’s located in Punta del Este, in Uruguay. 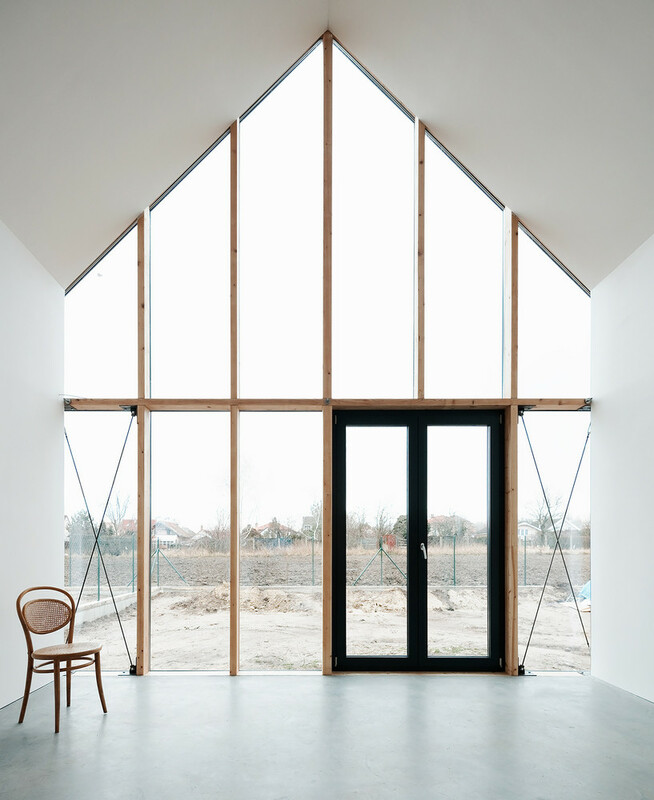 House Holman is an award-winning project by Durbach Block Architects. 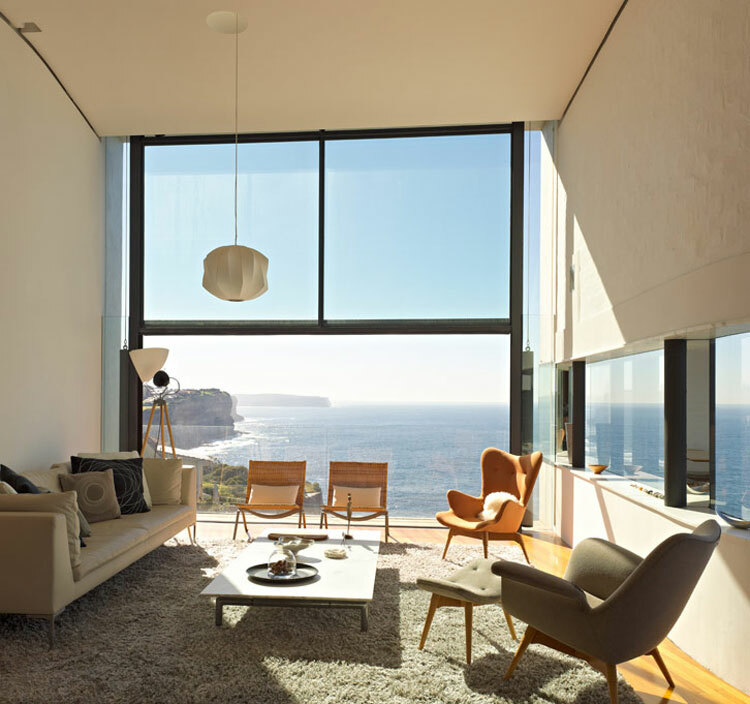 It’s a single-family home that stands on the edge of a cliff in Dover Heights, west of Sydney. 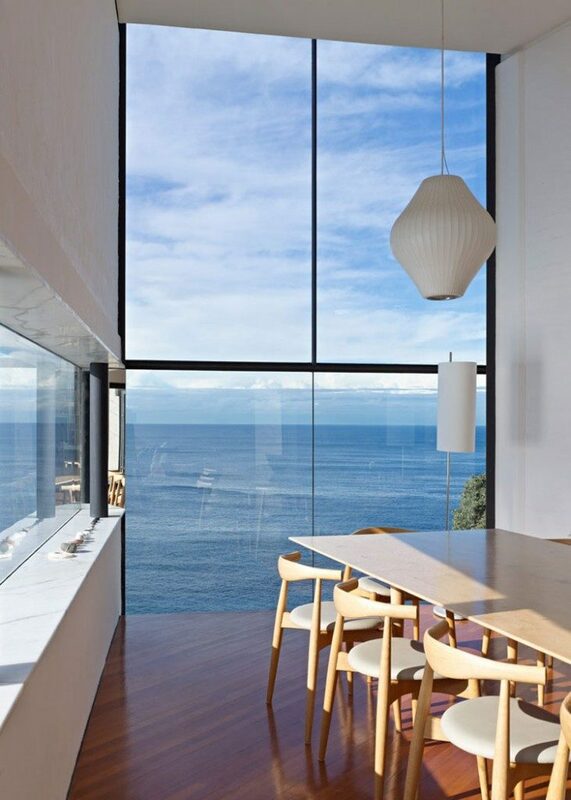 The views of the ocean are breathtaking and they can be fully enjoyed from inside the house thanks to the full-height windows. In order to be able to frame these beautiful views, studio Element Arkitekter AS designed this house in Rogaland, Norway with a rather odd-looking top floor that’s partially cantilevers and resembles a periscope. 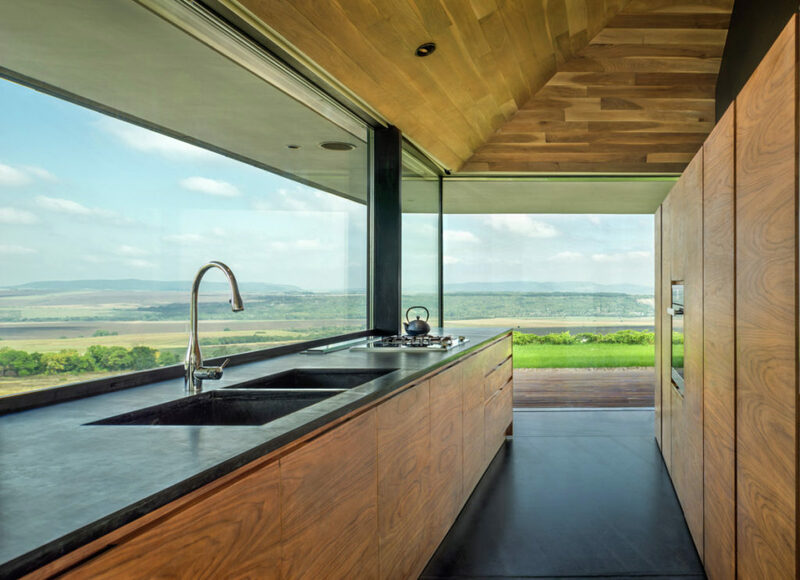 Up here, a glazed wall overlooks the water and the land in the distance. It’s a bit tricky sometimes to choose a site for a new house. 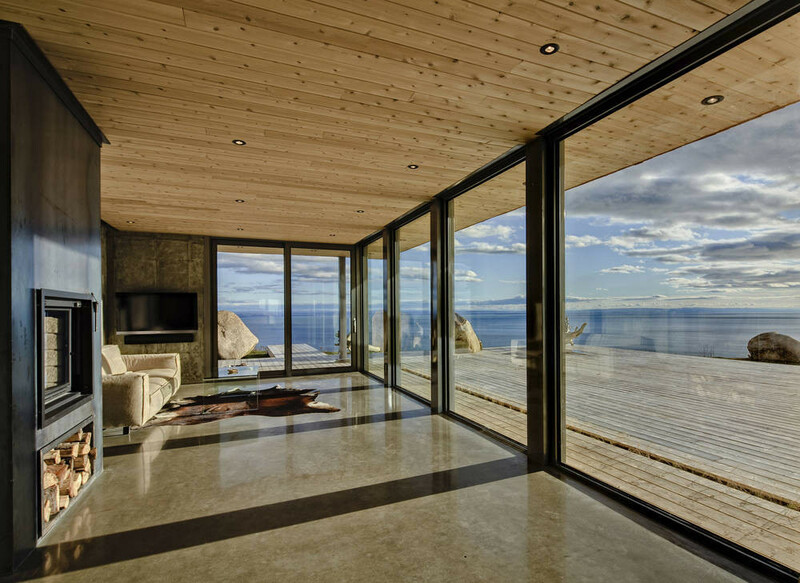 The views might be beautiful but they can’t always highlighted so before they bought this site in Särö, Sweden, the owners of this house wanted to make sure they could make the most of the location. 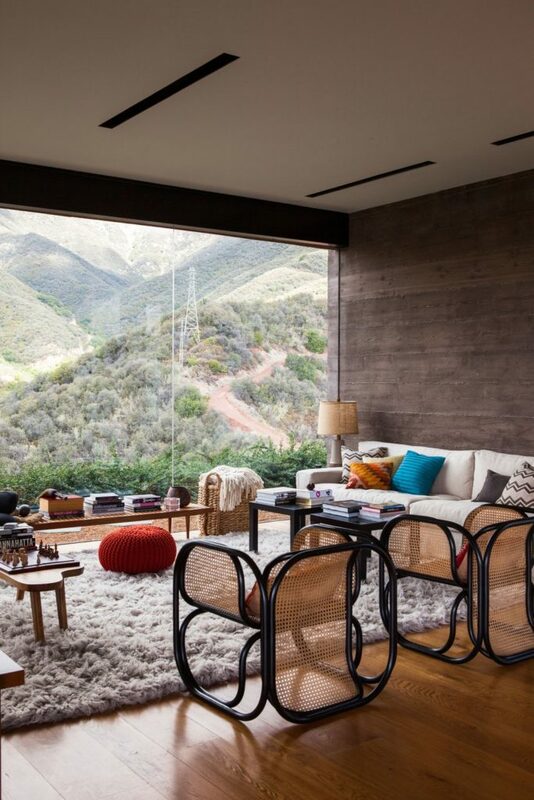 The end result was just as envisioned: a beautiful house that opens to the views. 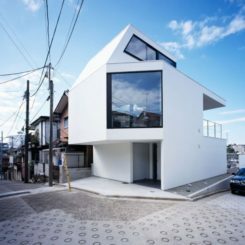 Even if it may seem at first like a site is unfit to accommodate a house, you might be surprised by how ingenious architects can be. 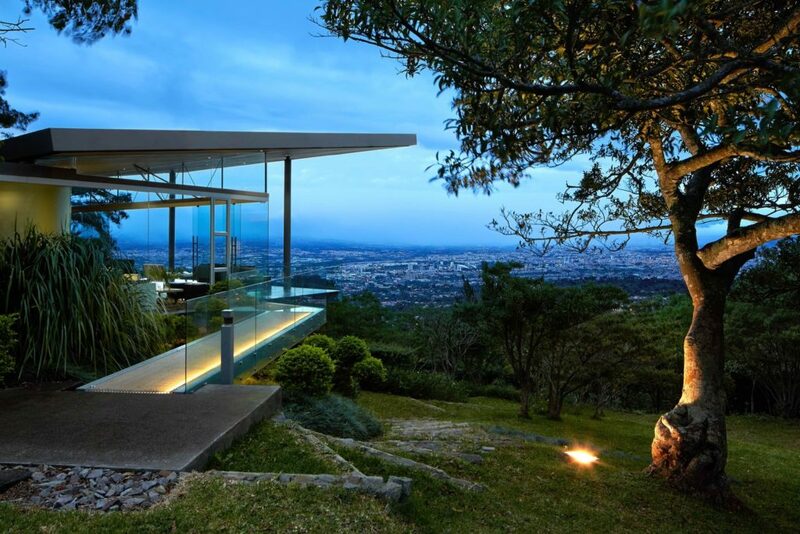 The BF House by OAB+ADI was built on a sloped site and it sits on pillars that raise it above the tree tops, allowing it to frame these gorgeous views. 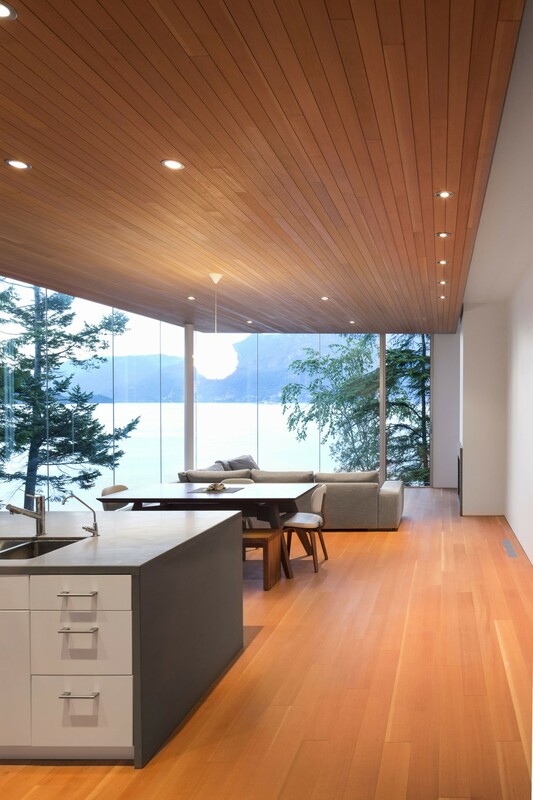 It seems that everything is mirrored in the case of this residence designed by MU Architecture in Canada, everything except for the views that make each space feel like a natural part of the landscape, like an extension of the panorama that can be admired through the floor-to-ceiling windows on the ground floor. The owners of this house approached Bestor Architecture with the desire to ultimately be able to enjoy a private getaway outside of the city, a place where they could become closer to nature and to find the balance between modern design and organic simplicity. Their wishes came true. 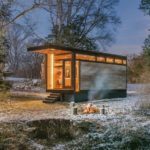 It’s cozy and humble but this charming retreat is designed to make the most of its location and to transform the views of the forest into a source of freshness of color for the interior decor. 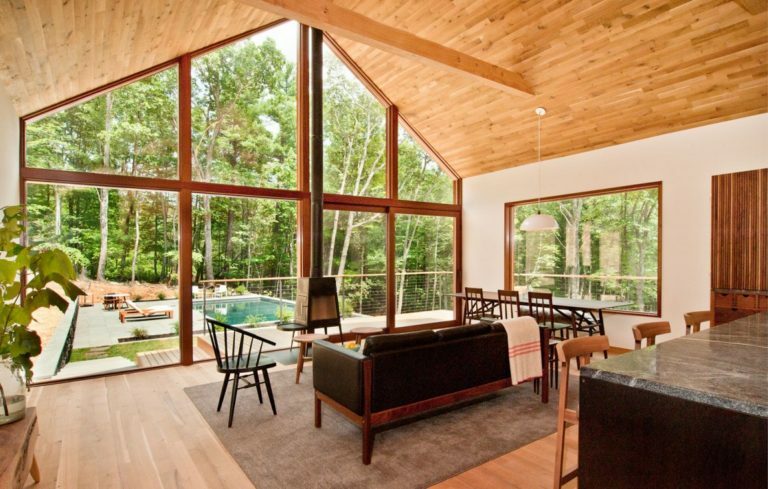 This is a retreat designed by Lang Architecture in Kerhonkson, 100 miles from New York. 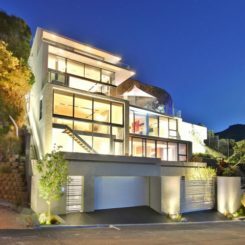 It’s perched on a rocky site, close to the edge of a cliff, this waterfront residence is meant to be private and responsive to its surroundings. 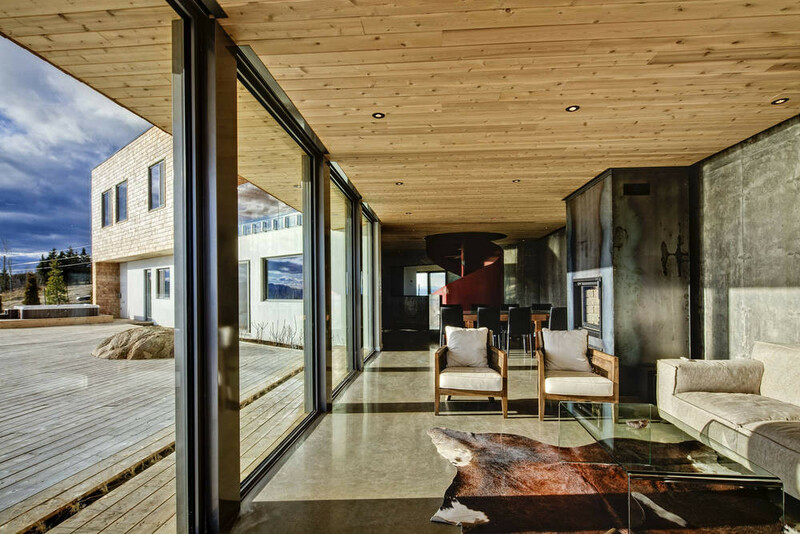 It’s a project by Mcfarlane Biggar Architects + Designers and it’s located in British Columbia, in Canada. 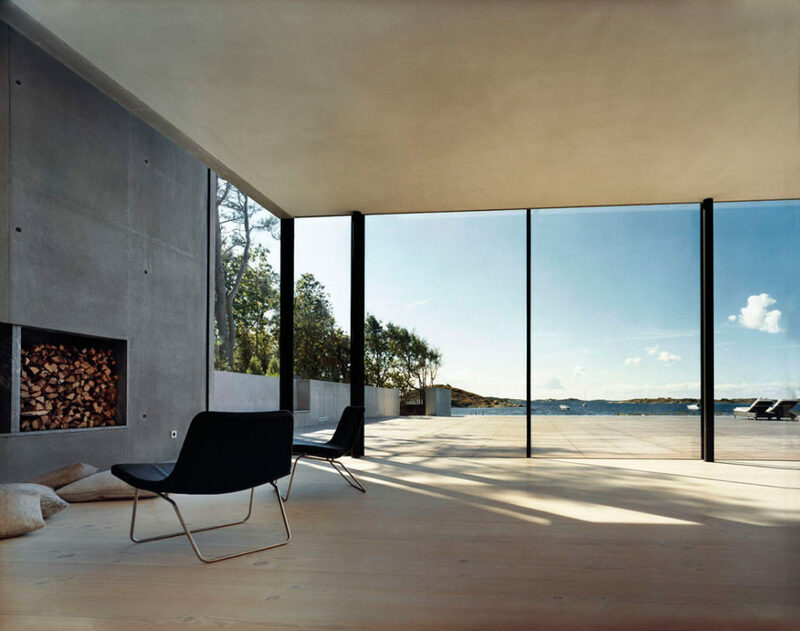 Its expansive windows bring in the view which in turn create a serene and relaxing ambiance. Instead of transforming the landscape, this house in Wicklow, Ireland, embraces the site and its slope with its sculptural form and eye-catching design. 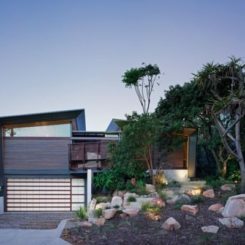 It’s a house designed by ODOS Architects with cantilevers and bright spaces that open to the landscape and invite the outdoors in. 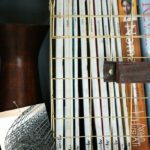 Every project has its own set of challenges. In the case of this home in Chile, the challenge was to position it at the center of the plot and to give it the smallest possible footprint and a low height. 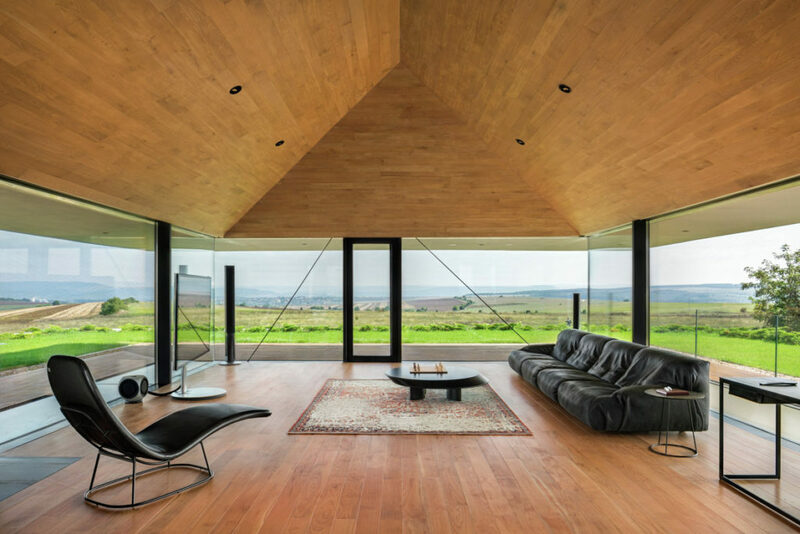 Mobil Arquitectos came up with the idea to shape the house like a croissant and to give it large windows and glass walls so it feels open and connected to the exterior. 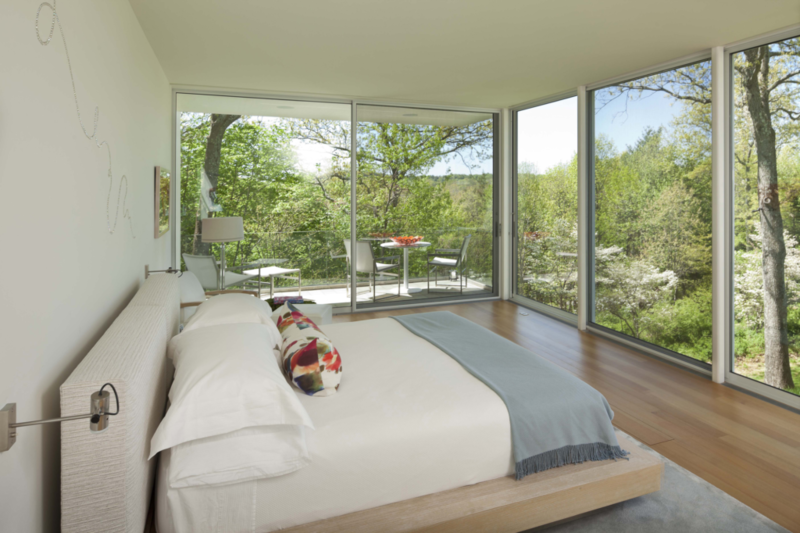 When they were asked to design an extension for a house in Bedford Hills, NY that dated back to 1974, Robert Siegel Architects envisioned the new structure as a modern, bright and open volume, with the new master bedroom framed by floor-to-ceiling windows and with a small terrace on the side. That’s exactly how they designed it. This is the Observation House, a structure situated on a hill, in the highest portion of a village in Bulgaria. 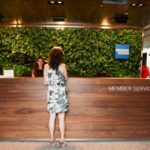 The site was chosen for its panoramic views and the landscape that surrounds so, naturally, the I/O Architects team looked for ways to highlight these features and to turn them into focal points. 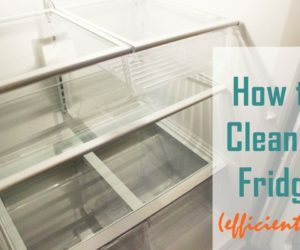 They managed to do that by designing the house with glass walls on all sides. 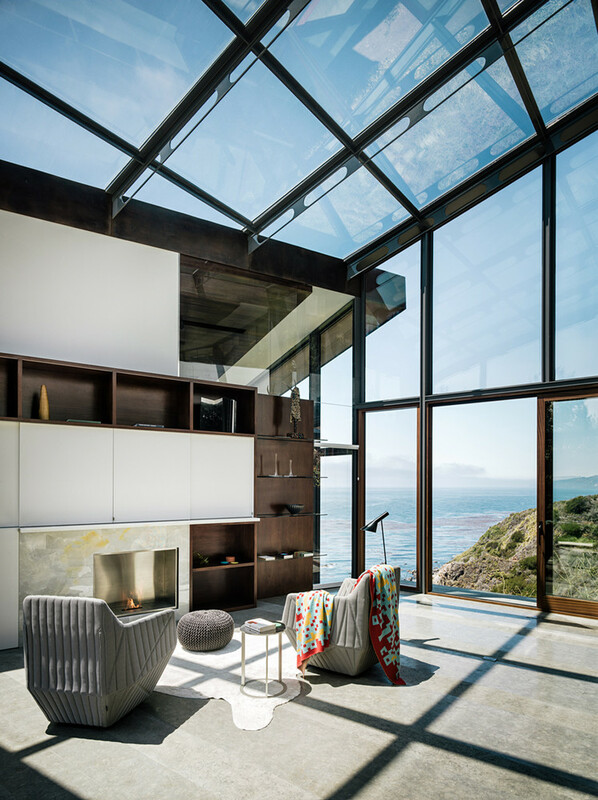 This residence in Big Sur, California doesn’t only have glass walls but also a glass ceiling. 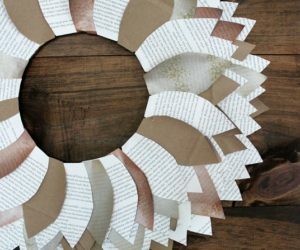 Even though it;s not entirely designed this way, these elements give it a lot of character. 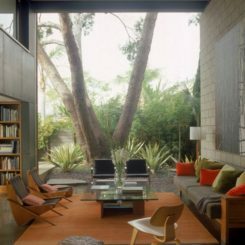 The house was designed by Fougeron Architecture and is composed of two rectangular boxes linked by a library entirely wrapped in glass. It’s always interesting to see how each architect deals with their clients’ requests and how it all starts to take shape little by little. 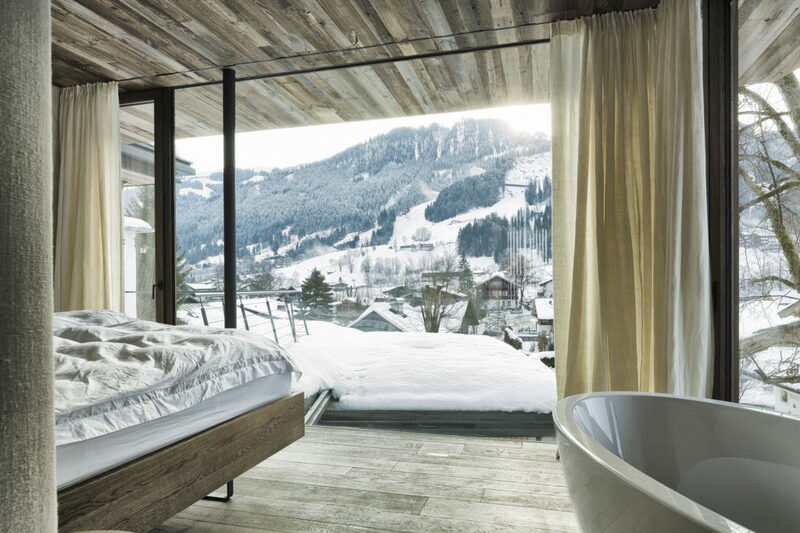 Gogl Architekten designed in 2012 a house in Kitzbühel. 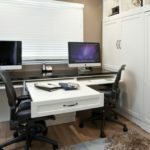 The client wanted it to include an open room filled with light and with a connection to the garden and views of the mountains for the rest of the spaces. This is the result. 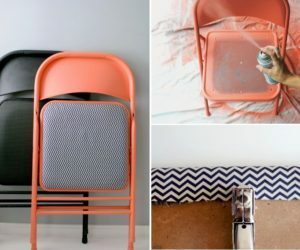 A tight budget can definitely limit a project. 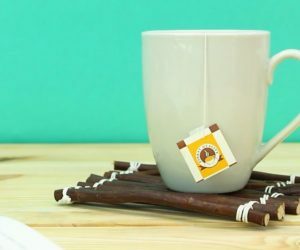 But even so, there are ways to focus on what really matters. 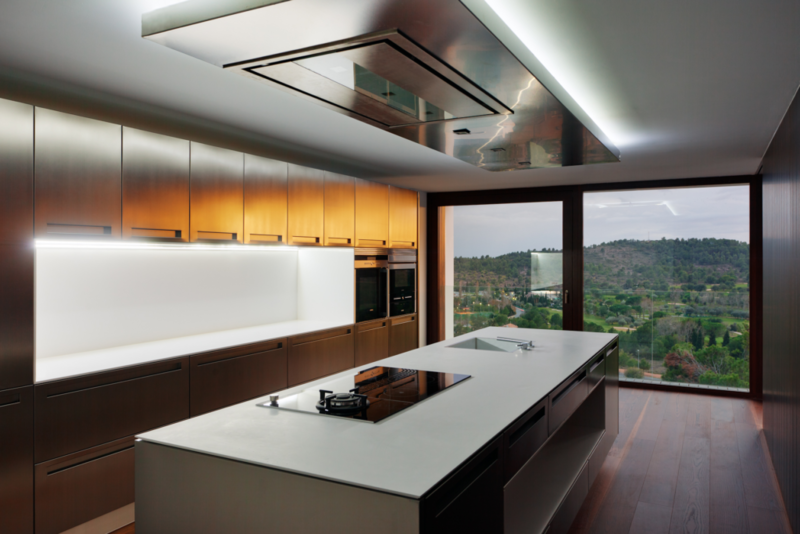 In the case of this residence in Barcelona, Spain, the most important element was the landscape and thus the views. 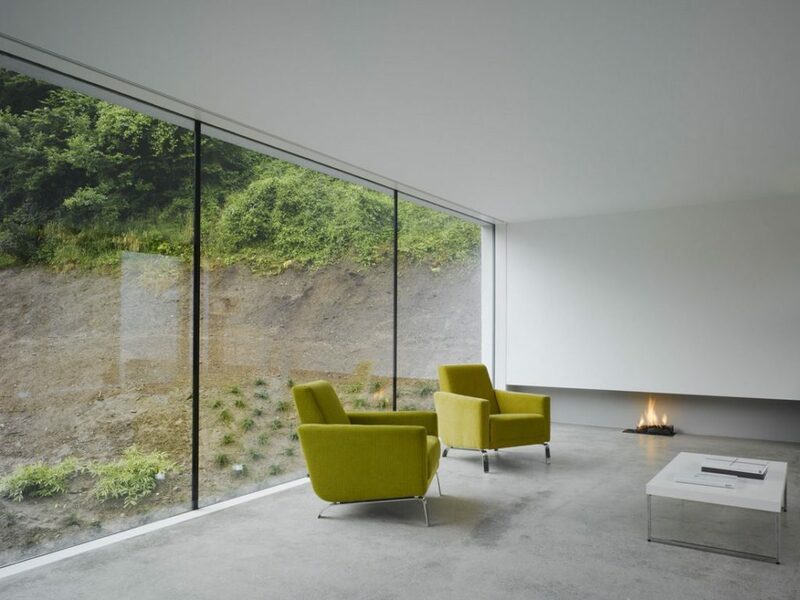 The house was built by Isern Associats on a very steep site which allowed it to frame magnificent views of the valley. 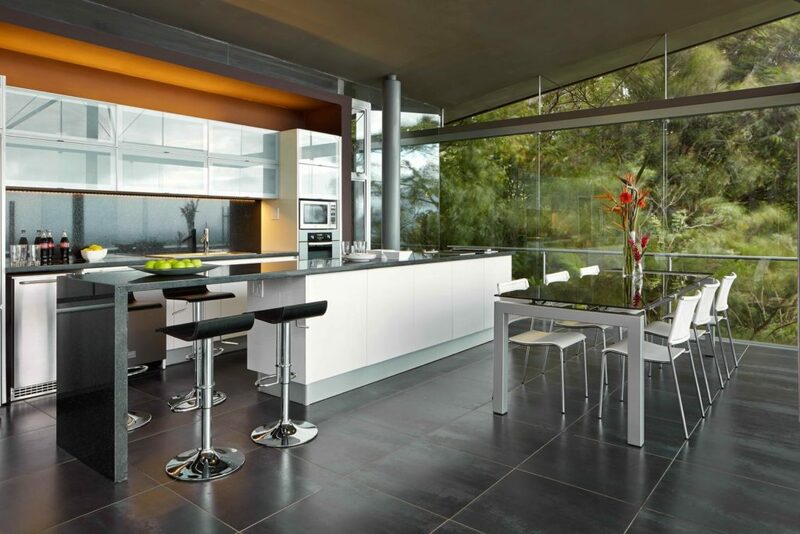 A limited budget was also one of the challenges that the architects at JRKVC had to overcome when designing this house in Slovenia. The client wanted the house to be small and to have a design inspired by traditional rural architecture but with an ultimately modern character. 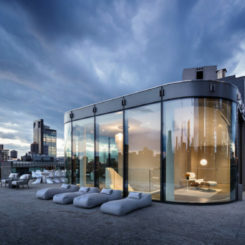 The glazed facade with two tiers of windows is a defining element of the design. 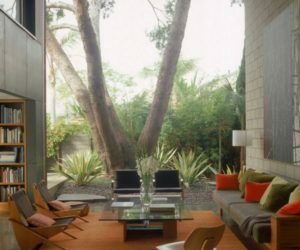 In the case of the Caterpillar House by Feldman Architecture, the clients had a series of specific requests. 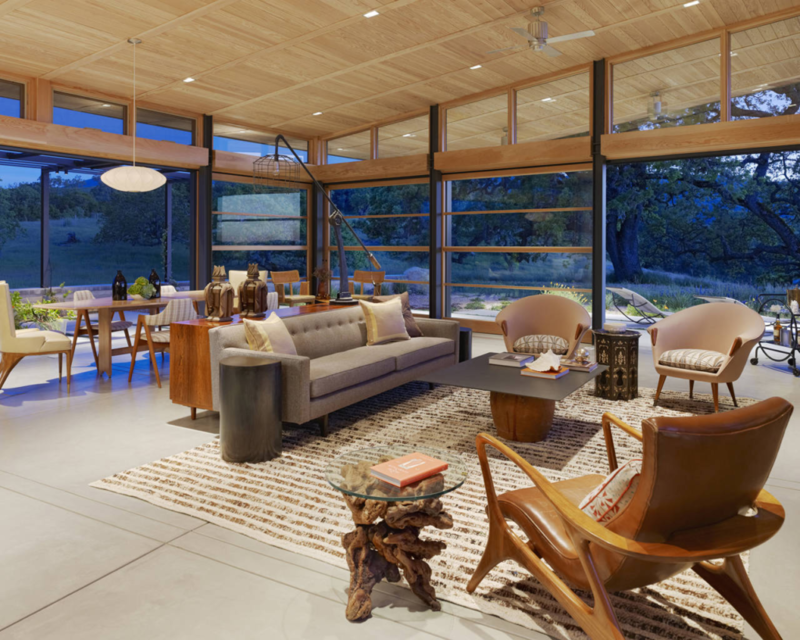 they wanted the house to be closely connected to its surroundings and to have a modern ranch feel while also being environmentally-friendly and sustainable. 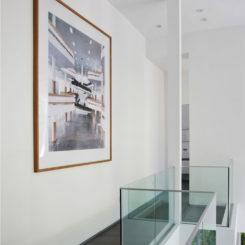 The architects managed to fulfill these requests by creating a contemporary version of a ranch, with full-height glass walls and clerestory windows. 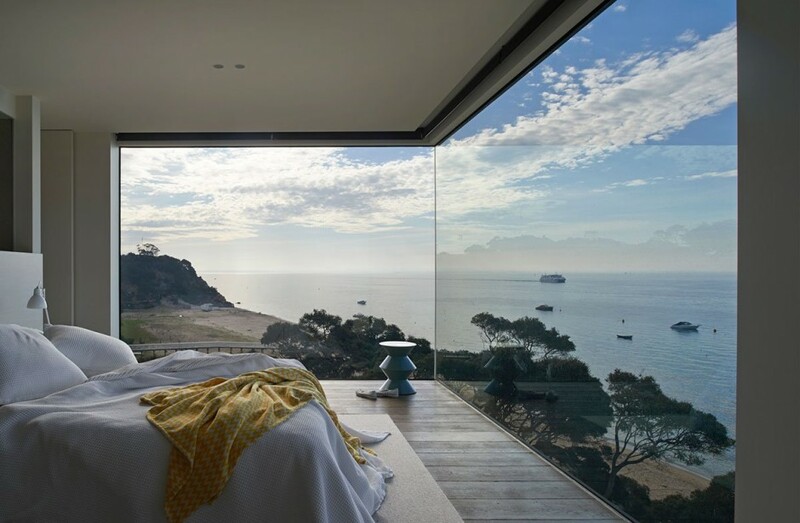 The magnificent view of the ocean which can be admired from the bedroom but also from the living areas make this residence a dream home. 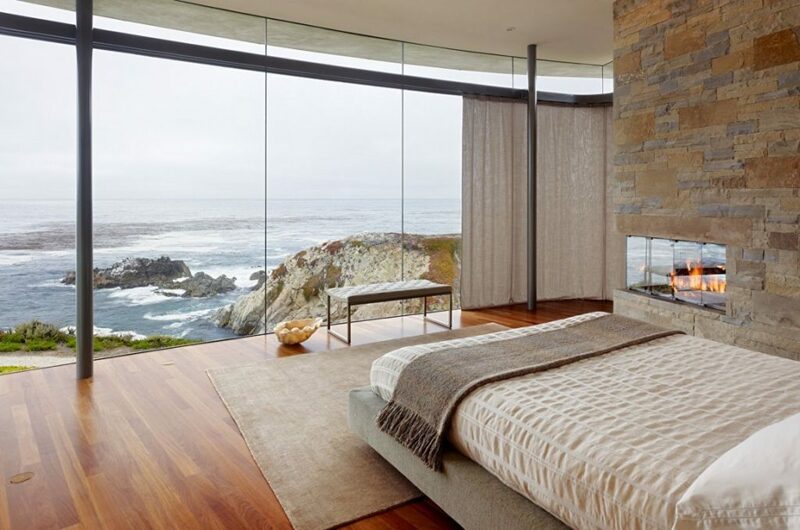 The building is located in Carmel, California and was designed by Sagan Piechota Architecture. 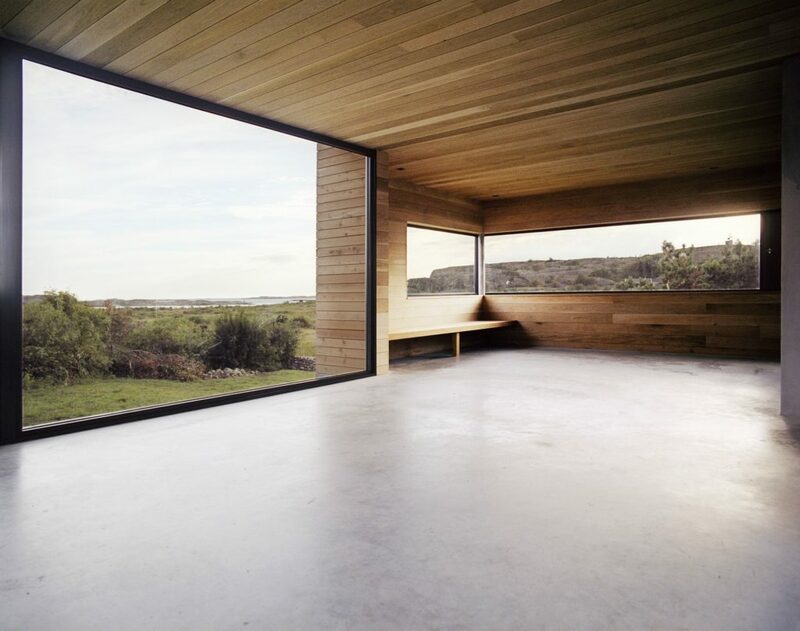 It’s a contemporary, two-storey home placed on a remote and extraordinary site. 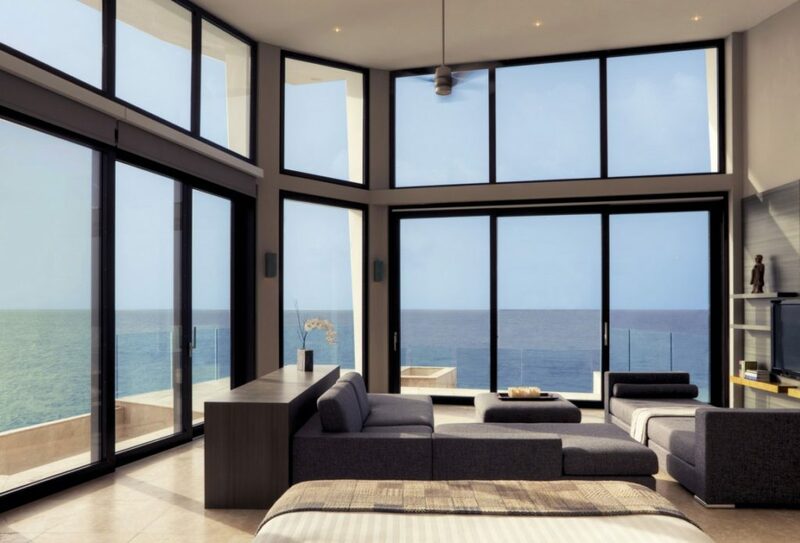 When designing this retreat in Anguilla, in British West Indies, duo Frank Alfred Hamilton and Cecconi Simone chose to use a palette of simple and neutral materials and colors and to let the views become the focal point and the main attraction. 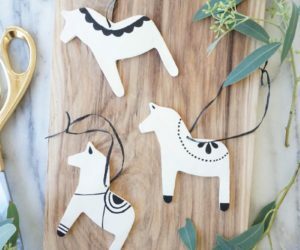 They enter the house and they complement the interior decor while also opening up the spaces. It was designed as a weekend getaway for visitors and it has a pond and a series of open spaces which communicate seamlessly with the outdoors. 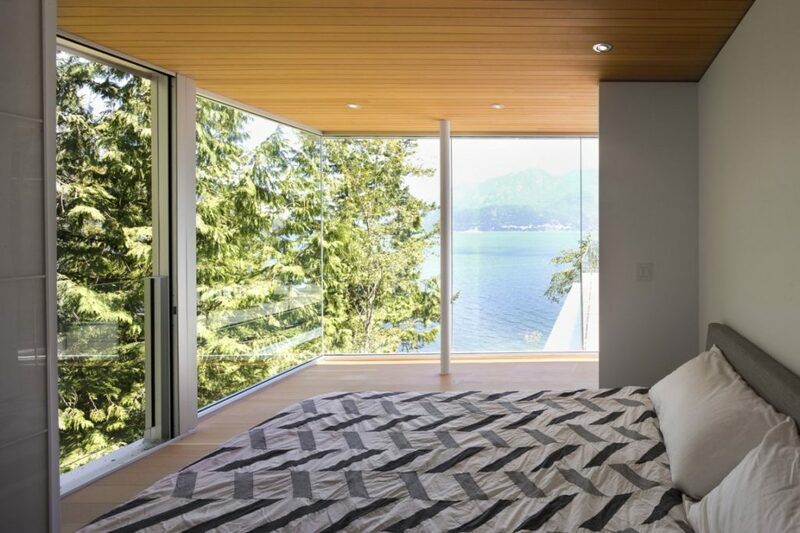 What we love the most about this guest house designed by Desai Chia Architecture is the scale of the windows and how they wrap around corners to capture the most amazing views. 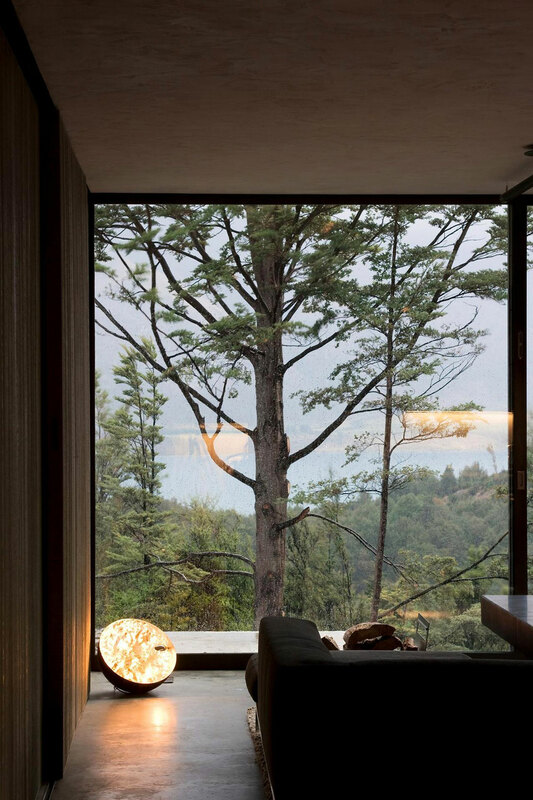 The whole idea behind this cozy although pretty big house in Valle de Bravo, Mexico, was to offer the owners the opportunity to enjoy living in the middle of nature, surrounded by trees and tranquility. 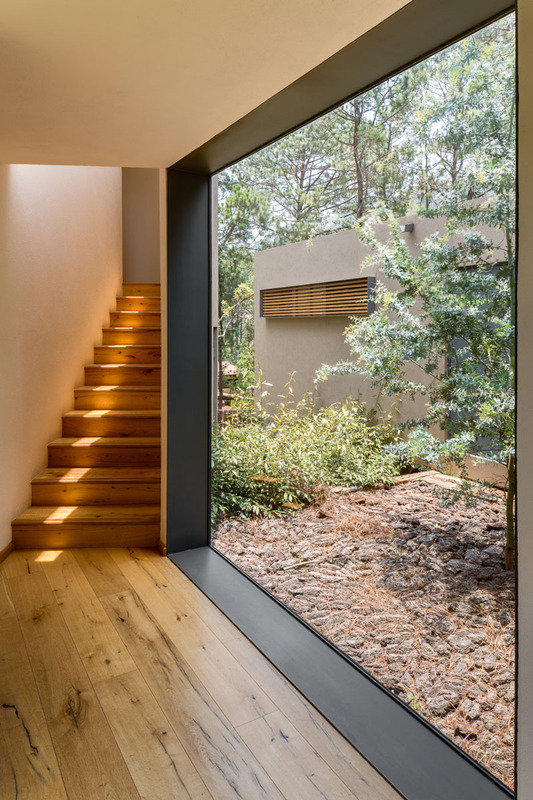 The design direction chosen by Weber Arquitectos includes a lot of glazed walls and floor-to-ceiling windows while the house as a whole was designed around the existing trees, preserving the environment as much as possible. 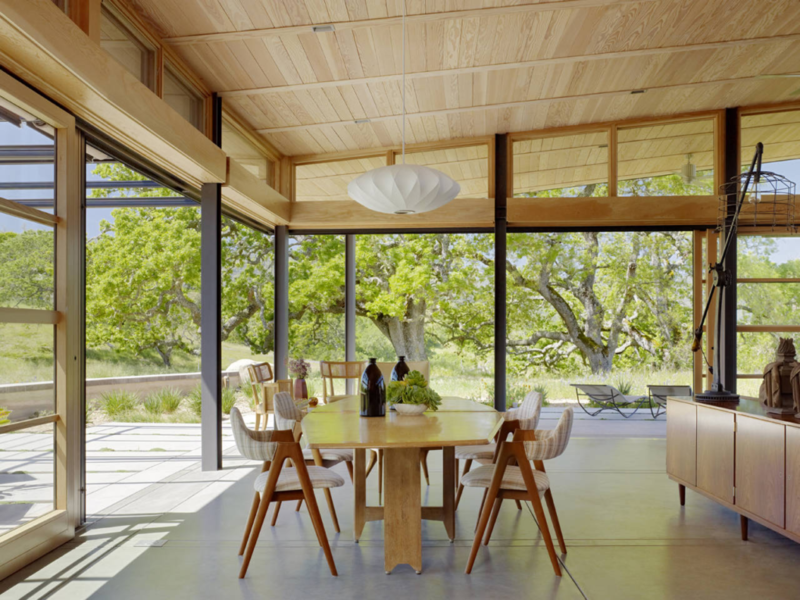 It’s hard to pick a single great element about a house that’s as beautiful as the one that Bohlin Cywinski Jackson designed in Los Altos, California. 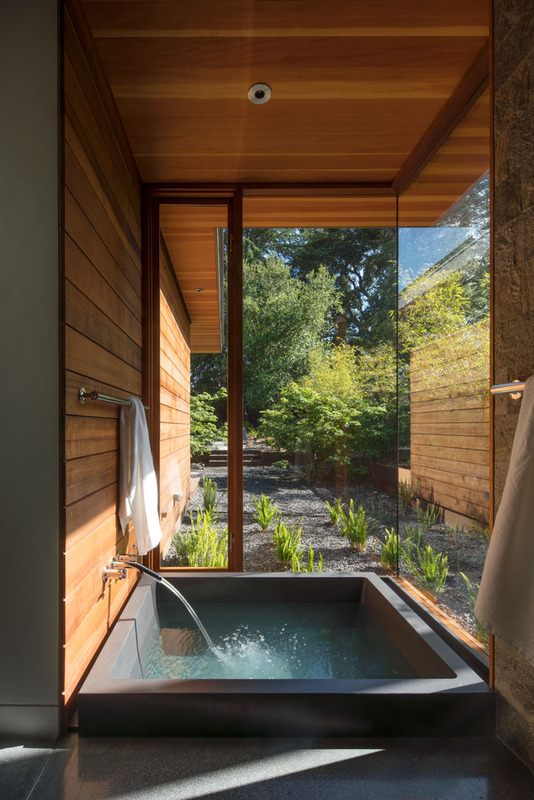 The feature that we like the most about it would have to be the sunken tub and the floor-to-ceiling windows that connect the bathroom to the garden. 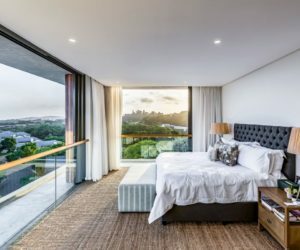 There are numerous great examples of floor-to-ceiling window integration into outstanding designs and outstanding architecture meant to complement the location and the views. 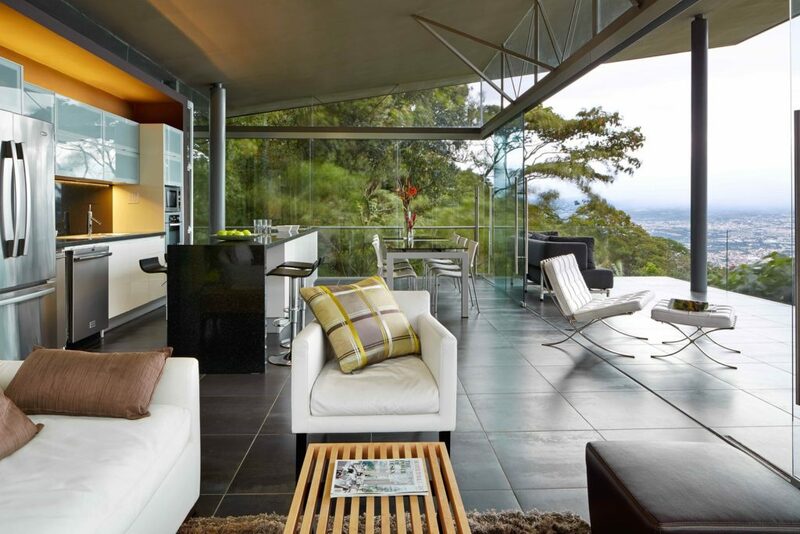 One of them is this house is Escazu, Costa Rica, designed by Cañas Arquitectos. 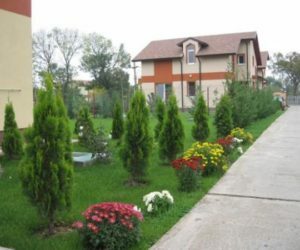 It’s a building surrounded by trees and lush vegetation, a retreat in the middle of nature with views of the mountain range.